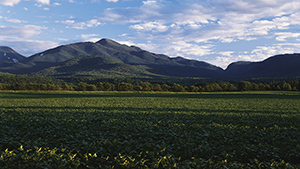 A unique mix of wilderness and civilization, the Adirondack Park spans six-million acres. With majestic high peaks, tranquil forests, pristine mountain lakes, and thousands of miles of trails and waterways, it&apos;s a haven for recreation. Along with natural wonders and wild adventures, discover renowned museums, culinary delights and legendary hospitality- from family campgrounds to five-star resorts and the elegant Hohmeyer&apos;s rustic lodge. 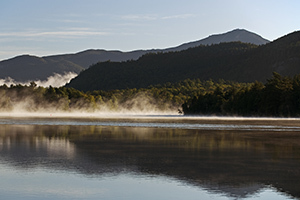 Explore friendly villages like Lake Placid, famous for Olympic venues, posh hotels and lively nightlife. Browse regional craft galleries in Saranac Lake, where you can board the historic Adirondack Scenic Railroad. In an elegant Glens Falls mansion, the Hyde Collection&apos;s art spans 6,000 years. Lake George has crystal-clear waters and sandy beaches, as well as steamboat cruises, eclectic restaurants and 70 shopping outlets. For a top-of-the-world thrill, climb one of 46 High Peaks. Ride the summer bobsled at Lake Placid&apos;s Olympic Sports Complex. Catch amazing views from Whiteface Lake Placid&apos;s Cloudsplitter, North America&apos;s most scenic gondola. Vistas are breathtaking from cliff-top trails at High Falls Gorge, near Whiteface Mountain, or Ausable Chasm near Keeseville. Family-fun attractions include Tubby Tubes in Lake Luzerne, offering fast and splashy summer tubing on water-misted lanes and lazy-river rides on the Upper Hudson. Visit Santa&apos;s Workshop year-round in North Pole. 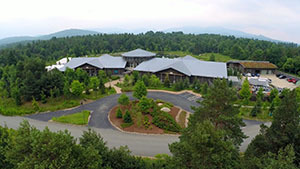 Experience the region&apos;s natural and cultural heritage at Tupper Lake&apos;s Wild Center and the Adirondack Museum in Blue Mountain Lake. Roosevelt&apos;s wild ride from Mount Marcy to North Creek, when he was sworn in as the nation&apos;s 26th president after President McKinley&apos;s assassination. The Lakes to Locks Passage, hailed by National Geographic, leads to lighthouses, beaches and two historic forts-Crown Point and Ticonderoga-where costumed guides recreate 18th-century history on the shores of Lake Champlain. Plan your visit during one of their top events for even more fun.